LINCOLN, NEBR.—Nine students in agriculture related programs at the University of Nebraska-Lincoln have been selected to participate in the 2nd annual Nebraska Corn and Soy Collegiate Mentoring Program. The program is sponsored by the Nebraska Corn Board and Nebraska Soybean Board and is administered by the Nebraska Corn Growers Association and Nebraska Soybean Association. • Matthew Hiebner, an agriculture economics major from Henderson, Nebr. • Jacob Hinrichsen, a mechanized systems management major from Burr, Nebr. • Mark Lundeen, an agriculture economics major from Minden, Nebr. • Bradley Meusch, an agronomy major from Bellwood, Nebr. • Haley Oser, plant health doctoral candidate from Morrison, Colo.
• Sarah Schalm, an agricultural education major from Medford, Minn.
• Chrisinda Scheideler, an agricultural education and animal science major from Scotia, Nebr. • Jared Seier, an agronomy major from Petersburg, Nebr. • Morgan Zumpfe, an animal science major from Friend, Nebr. 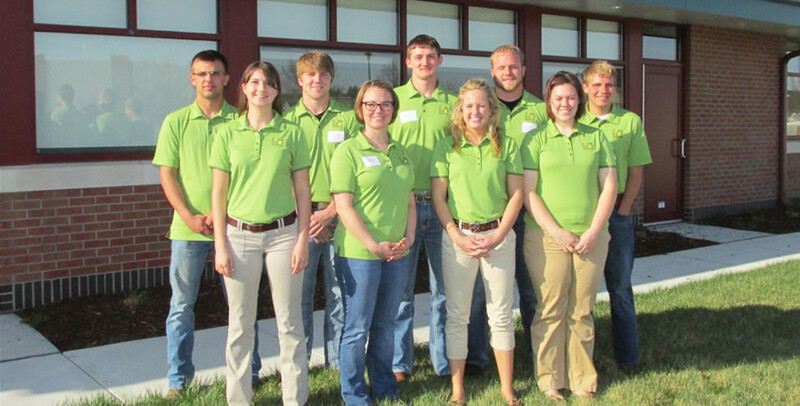 The goal of the program is to provide the students with a comprehensive understanding of the agriculture industry. During the program, participants will learn about issues impacting agriculture on both the state and federal levels, and discover more about the checkoff programs involved with major commodities. They will accompany members of other college leadership programs to tour a number of agribusinesses and ag production operations. Participants will also learn about the wide variety of career opportunities within agriculture—and will learn how to become effective advocates and spokespersons for agriculture. 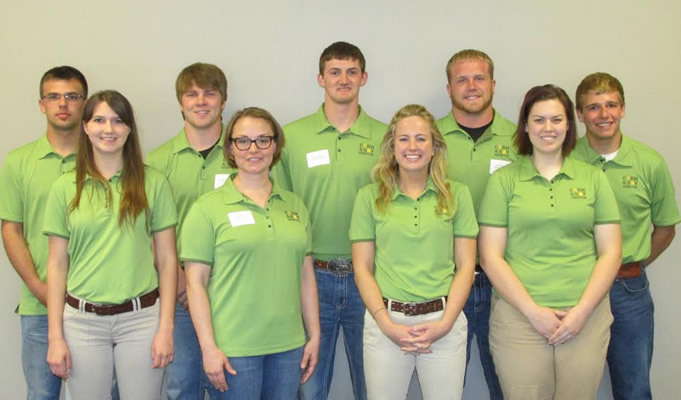 Upon completion of the program, the students will be recognized at the annual meetings of the corn and soybean membership association and presented a scholarship to assist with college costs.